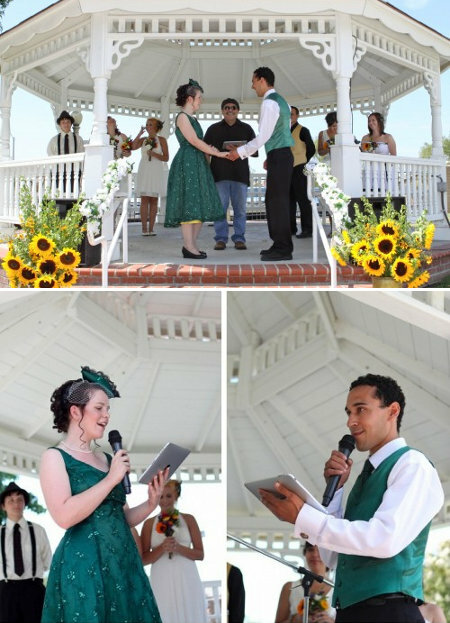 As you can see, the bride and groom even read their vows from the iPad, after having copied them to the device from paper and ink versions. While I can’t say that I’m ready to read my vows from an iPad just yet, it certainly is one of the more unexpected places that we’ve seen the lovely device show up. Many thanks to Offbeat Bride and Geekologie for the story.